Moxton Education is a specialist organisation focused in the Education Sector. Moxton staff work with both Schools and Trusts directly or commercial organisations that have Schools as their end customers. The consulting part of our business that delivers specialist independent advice through a range of specifically skilled and experienced associates directly to Schools, Academies, Multi-academy Trusts and FE Colleges. The part of our business that delivers specialist consulting support to organisations or businesses that have Schools, Trusts or Colleges as their end customers. Been responsible for demonstrating improvement in ICT across groups of schools. Worked on the client side with Federations and Academies. Understands the complexity of BSF and Partnering contracts. Geoff has worked in Education for 24 years. He started his career in a Lincolnshire Primary School then moved to Local Government, building an award winning ICT service for schools. Geoff has also run small and large Commercial businesses delivering Educational ICT solutions and services. 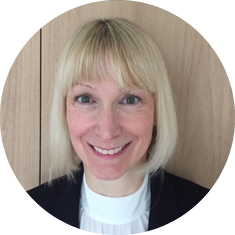 Helen is an experienced educational technology specialist with over 20 years’ experience in the field. She started her career as a programmer before moving into teaching and becoming a senior leader in an Academy. 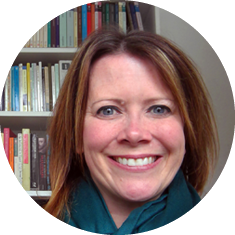 She has expertise in leading change management programmes and embedding new technologies within schools. 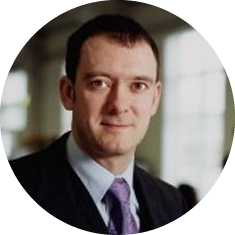 Steve is widely recognised as an evangelist for the role of technology in leadership, management, administration, learning and teaching – with a strong sense of realism in respect of what can be achieved. 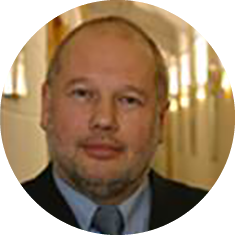 He is therefore widely respected as an educator who understands technology. 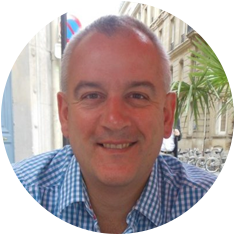 Steve has a unique set of skills and experience having been a senior manager in a school and in the commercial world. Sharon has over 15 years experience in the implementation and support of ICT in the Education sector. She has delivered an extensive portfolio of projects and programmes over this time, from BSF to Academies and single sites, many of which involved complex third party involvement such as construction and broadband. 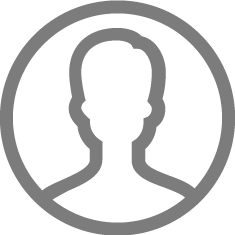 Nick is an extensively experienced technical and commercial consultant. He has had a career in educational ICT that has seen high profile contract wins and innovative technology design solutions. He has wide ranging board level experience of contract management, business development, bid direction, legal, commercial and procurement management. Paul has worked in the educational IT for over 20 years. He worked his way up from being responsible for IT in a large technology college through to being responsible for the technical delivery of a countywide ICT solution. Paul is also responsible for many projects where ICT is integrated into the building and other very complex multi-site fresh projects. Given the wide range of skills and experience of the staff at Moxton Education we are able to support assignments both large and small. These cover areas as diverse as multi-site strategy to commercial, technical, educational, financial, project, service management and ICT in design. Where we are different is that as we all come from an education background – we therefore understand the realities of actual teaching and management so can support you with a dose of reality. The following are examples of our latest projects. Ludgrove School approached Moxton Education because they needed a complete review and health check of ICT in the school. The reason for the review was to ensure a ‘joined up’ approach was adopted to ICT development going forward, address some suspected immediate technical and operational concerns and support the school achieve better outcomes for the pupils through the delivery of a range of both strategic and operational ICT improvements. Although ICT is used extensively throughout the school, Cramlington Learning Village wanted an independent review of their ICT spend and support in determining whether they were getting best value from their investments in ICT. The challenge resulted in a detailed report for Cramlington which estimated their spend over the coming three years and also immediate savings of £117,000 or £56 per pupil whilst still achieving the school’s vision. Moxton Education worked with E-ACT over a significant proportion of 2018 to support them deliver upgrades, run a procurement for escalated support in the Midlands region, manage the extraction of their BSF Schools from the Birmingham BSF Scheme and develop a regional strategy for 2019. Moxton Education worked with QEGSMAT in 2018 to carry out an extensive, technical, operational and financial review of their academy estate. We then developed a strategy to take both the existing Academies forward and a simple methodology to integrate any future Academies. In early 2019 we started the management of a procurement exercise for a single MIS system across the Trust. Forest Hill School in Lewisham was faced with a number of challenges in early 2018. Moxton Education carried out an extensive review and then ran a procurement process to find a new Managed Service Provider. During the summer we then acted as client advisor to the school to support them to deliver a range of complex upgrades and ensure that the new service provider was ‘bedded in’. In early 2018 Moxton Education carried out a technical, operational and financial review of all the Trusts Academies. As a result of this we then supported them to rationalise the number of providers they had from three to one. In the Autumn of 2018 we carried out a range of different activities to support the trust, both technically and operationally. We also ran a procurement process on behalf of the Trust to put in place a 3 year Escalated Support service. Then we developed a methodology to help the Trust integrate additional Academies going forward. Star Academies have 28 Academies growing to 50. In the summer of 2018 Moxton Education were asked to support the Trust to develop a contract structure then negotiate and close it with their newly tendered supplier. The result of this was an signed contract in the late autumn that allows the Trust to spend up to £10m over a period of 5 years. It incorporates both goods and services and also an approach to ‘Collective Partnership’ that adds real value to the partnership above and beyond the day to day commercial arrangement. In 2019 we are supporting the trust to develop its programme management function. The Torridon Infant and Primary Schools in Lewisham planned to join together in 2018. Early in the year Moxton reviewed the ICT commercially, technically and operationally at both schools and then put in place an integration plan. The Bedfordshire Schools Trust have a range of both small and large Academies with more to follow. 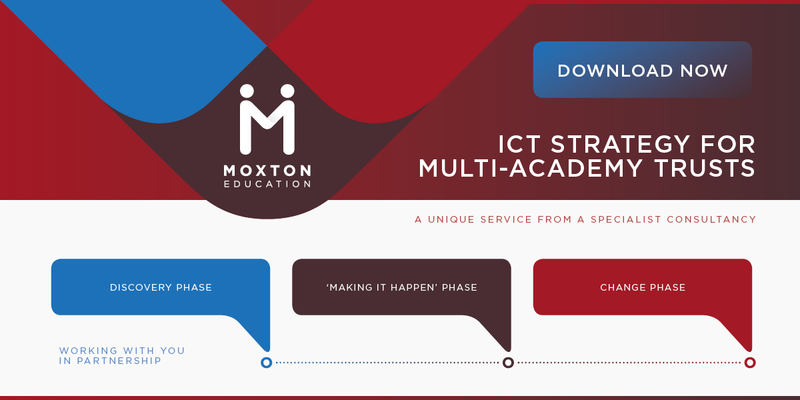 Moxton Education carried out a review of their ICT in the Summer of 2018 and as a result of this are now in the process of running a full EU procurement process for the Trust to a value of £5m for a full ICT Managed Service. In 2018 we were asked by Dulwich College to support them in the procurement of a new resilient server and storage infrastructure. Following the collection of requirements we helped the College procure Simplivity and all associated services for it to be installed and configured. Dulwich is now one of the only education establishments in the UK to have such a high available and completely resilient server and storage infrastructure. Email us to find out how else we can help you. This part of our business is designed to complement the consulting business that works directly with Schools, Trusts and Colleges. Given that many of the Moxton staff have worked in both Education and Commercial businesses that support Schools we know that sometimes businesses, both large and small that work within the Education sector can do with support. This could be to help with a range of tasks such as ‘getting fit for growth’, developing partner networks, launching new products, supporting business re-organisation, mergers and acquisitions or supporting large and complex bids. HPE are one of the worlds largest IT Manufacturers. During 2016/17 Moxton Education supported them to launch a new service to the public sector which incorporated both hardware, software and cloud. This contract reported to HPE globally in Houston and worked with all the key staff in the UK. Moxton Education provided support to Lendlease in 2017 to bid on the EFA framework focussing on the education and training areas. As a result of this lendlease won a number of the bids they tendered for. During 2018 Moxton Education undertook a review of the 3rd party organisations that support Schools, Academies and Trust with an LGfL connection. As a result of this a new Partner Agreement has been developed and is in the process of being rolled out to bring benefit to both parties and ensure that Schools get the best possible services from both organisations. In 2017 Moxton Education supported MyCognition to develop its business model in terms of education. This includes SLA’s, sales models, lead generation and partner agreements. Moxton Education have supported Cambridge Education over a number of years to deliver their consultancy services with respect to Multi-Academy Trusts. As a result of this we have delivered strategy sessions to over 30 trusts. During early 2018 Moxton Education supported Cambridge Education in its bid to win the work from the DFE to provide the Adoption Support fund service. This involved both commercial and technical elements. The bid was successful. In 2017 we supported in Ombudsmen Services to further their reach. This involved managing a successful complex bid for them so that they could provide their services to another sector. Over two years Moxton supported Misco to deliver its ICT bidding function on the EFA framework. As a result of this many bids were won using a partner model. In 2018 Moxton Education ran the successful bid on behalf of Circle IT to get them onto the NEUPC framework in multiple lots. During 2017/18 we undertook a number of activities with various small to medium education businesses. The focus of this work was to help them develop both in terms of organic growth and also ensuring that the company itself is ready to work with customers, such as trusts, who need a much more partner driven multi-channel relationship. We would be really pleased to hear from you. If you would like to know more about our consultancy, services or solution packages please contact us using the form below. Alternatively, if you would like to know more about the capabilities of our organisation and how we might be able to help you please also get in touch. Please remember to provide your contact details and we will always call you back.